Annapolis Cider apples are grown in nearby orchards, pressed into juice down the road, and fermented into cider at their cidery in downtown Wolfville, Nova Scotia. Come for a tour, enjoy a tasting, and tap into the valley. 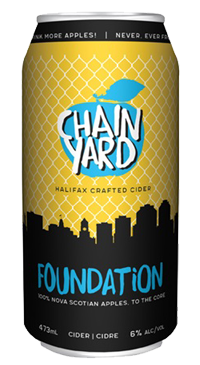 This cider is crafted by combining dry cider made from diverse apple varieties with juices from local hand-picked sour cherries and freshly-pressed apples. The result is a blush-hued cider with fresh cherry aroma that is refreshingly tart.